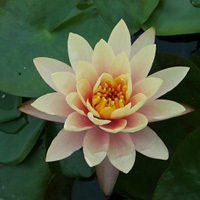 Paul Harriot water lily (Nymphaea ‘Paul Harriot’) These are little water lilies with large flowers which also change over a few days from pink tinged with yellow to a deep pinkish orange. 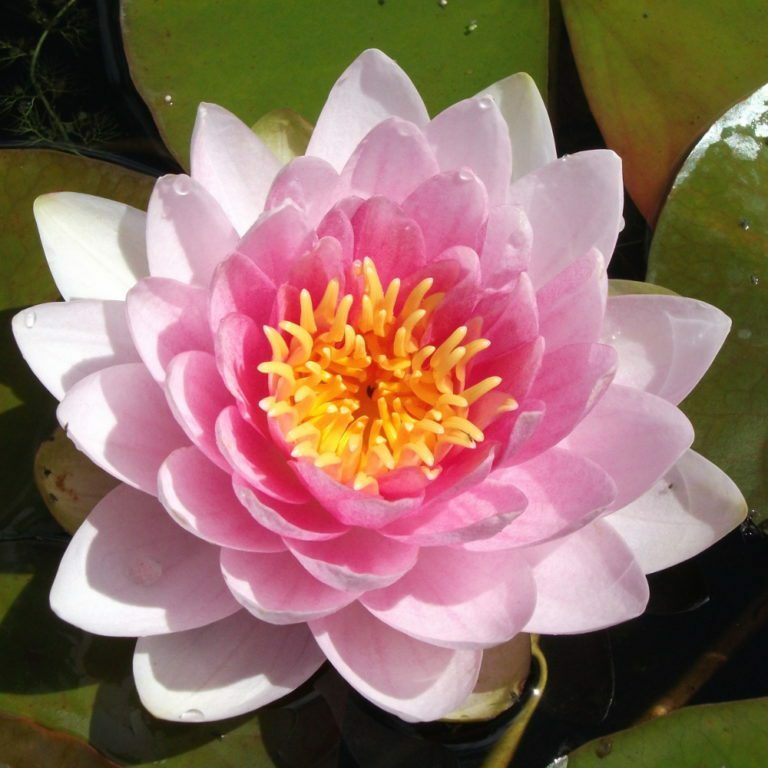 The blooms are cup like in shape with twenty two petals and reach 4-5 in (10-13 cm) across and are held high above the water. 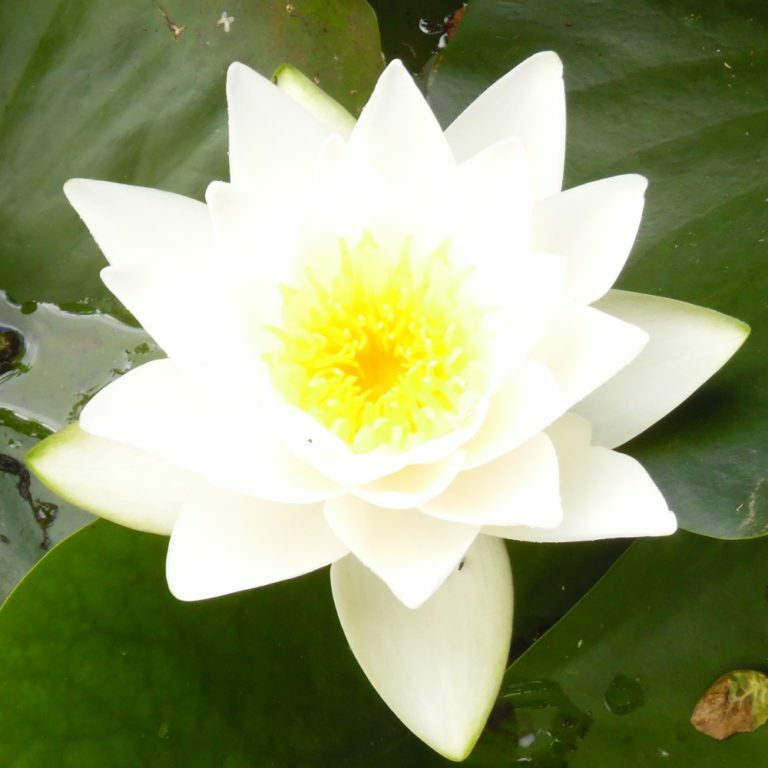 It has a slight fragrance and is also very free flowering. The leaves areÂ deep green with large and small purple blotches and mottles. They are oval in shape with an open ‘V’ shape sinus or lobes which partially overlap. The tips of the lobes are round and the leaf measures 15-18 cm (6-7 in). 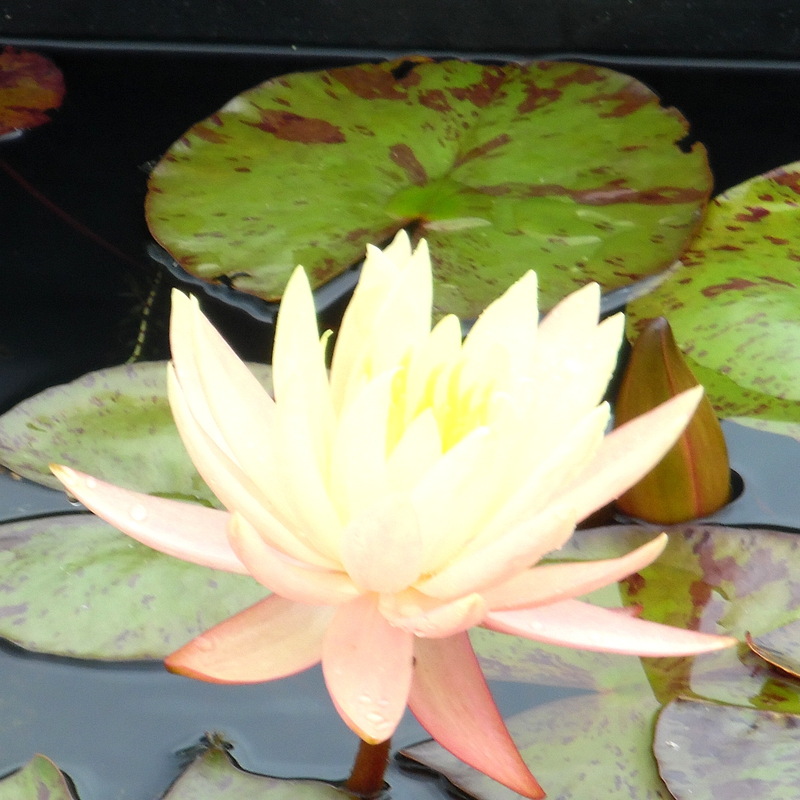 We consider the Paul Harriot water lily to be ideal for tubs and containers and for small or medium pools.